If you’re thinking “But I just want to invest in properties and this is not my problem…”, think again! 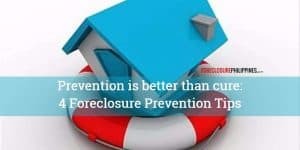 If you are planning to buy a property through a mortgage loan, installment payments, or even through in-house financing, things can happen, and you might end up losing your home if you are not prepared. With that said, this basically affects everyone who plans to buy a property through some form of financing. 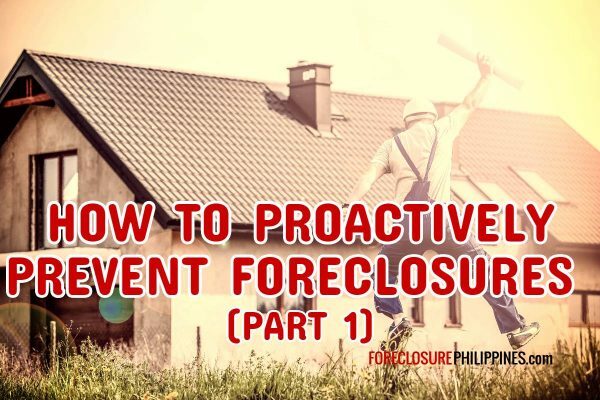 Note: While foreclosures only happen to properties under a mortgage loan (they are foreclosed due to non-payment of monthly amortizations), a similar thing can happen to those that are under a Contract-To-Sell (CTS). Non-payment will lead to the cancellation of the CTS. Take note however that you might still get back a portion of what you have paid under the Maceda Law. 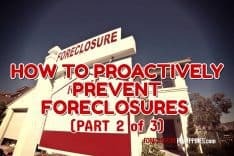 I remember the time my “super” broker/mentor brought me along to check a property that was facing foreclosure years ago. 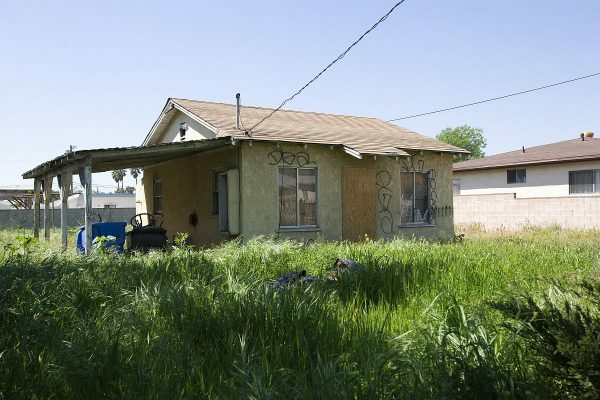 The house was old and dilapidated, but it was surrounded by nice house and lots in an okay neighborhood. This is not the subject property, but it looks very similar. It was an old and dilapidated house, but the selling price was higher than nearby properties for sale that were in better shape. We both noticed that the selling price was too high compared to our market value estimates (based on the current going rates in that particular location). “Why are you selling at such a high price?” we asked. It was a sad scenario because even if we wanted to, we cannot buy the property, because it was overpriced. Even if we tried to help them to sell it, no end-user in their right mind would buy it, because there were other similar properties nearby that were cheaper and yet in better condition. I just hope they found a way to avoid the foreclosure of that house. 1. Don’t “jack-up” your property’s appraisal to get a big loan amount – Yes, we all look for a high appraisal when getting a loan, but when it is jacked-up way beyond the actual market value, it can cause problems like what I shared above. It’s okay to get a high appraisal, if it reflects the real market value of your property. If not, this can spell a huge problem when you need to sell the property later. Imagine if the highest price you can get (the real market value ) was not even enough to cover your loan balance, then it will get foreclosed anyway. If you try to raise the price so it can cover the loan balance, no one will buy at that price because they will choose the other properties that are selling at the right price. But if you lower the price, it won’t be enough to payoff the loan (back to square one). Lesson learned: Stick to the real market value! 2. 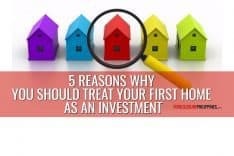 Don’t buy a property just because someone said you can make passive income – This is something a lot of people fall for, mainly because they were made to believe the property they bought will make money through rentals. They thought the rental income would be enough to cover most, if not the entire monthly amortization. But later, when the property is ready for occupancy and is turned-over, the owner can’t even find tenants. It could be because of too many other properties that are also for rent. Or maybe the location is really not that good and there’s simply no demand for rentals there. It can be a combination of both, plus a lot of other reasons. 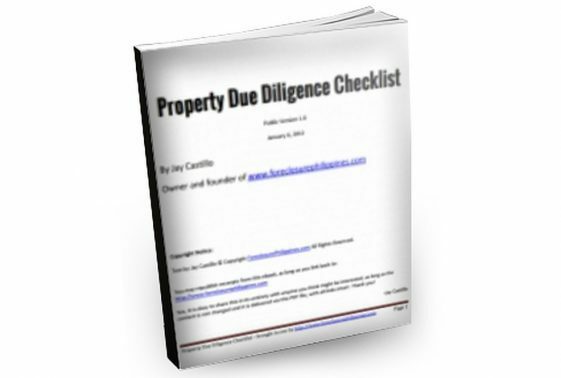 This could easily be avoided by checking if there are actual rental units that are tenanted in that location, as part of due diligence. This would establish the real demand (or lack thereof) and actual rental rates, which should be the basis on whether to buy a rental property or not (obviously!). Of course, when buying rental properties, there are so many more factors to consider like vacancy rates, collection losses, maintenance costs, property management, HOA/condo dues, etc., which I will no longer be able to discuss here. By the way, things can get worse if a pre-selling property was bought via a low downpayment scheme where the low downpayment is stretched for several months/years. The monthly for the DP is manageable at first. But what if when it’s time for the unit turnover, it turns out the buyer cannot qualify for a bank loan for whatever reason? Then their only choice is in-house financing. In-house financing often means higher interest rates as compared to bank loans. It can be as high as 18% per year (or more). Payment terms are also shorter, which results in very high monthly amortizations. So if a buyer can’t get a tenant, they will find it hard to cope with the very high monthly amortizations, and they can really lose the property (the CTS will be cancelled). More often than not, they won’t be able to get any of their payments back because they can only qualify for a refund under the Maceda Law, if they have been paying for 2 years or more. Even if they do qualify, the penalties, surcharges, etc. might eat up most of the cash surrender value. So before buying a rental property (especially for pre-selling properties like the one I described above), better think about it long and hard before you decide. 3. Don’t go beyond 40% of your gross monthly income – There’s a reason why banks and other lending institutions require that your monthly amortization should not exceed 40% of your gross monthly income. (For me, it would be more conservative to use 40% of the net disposable income – income left after all obligations are paid). This helps ensure that you are not living beyond your means, and you can truly afford that property you want to buy. 4. Don’t be too attached to a property – Obviously, people will get attached to a property when it has been their home for a long time. However, if the time comes when you can no longer afford it (due to a change in your capacity to pay… a loss of a job, or a failed business for example), if you are not too attached to it, you can actually let go and sell the property. Selling is better than losing everything. 5. Get more than adequate insurance – Imagine what would happen if you or a loved one got sick, it can get really expensive. What was meant for monthly amortizations have to be diverted to payments for hospital bills, doctor’s fees, medicine, etc, unless you have health insurance that can take care of these expenses. How about if something happens to the borrower? Death will obviously mean loss of income, and can really lead to foreclosure down the road if those left behind don’t have enough income to continue payments. This is why Mortgage Redemption Insurance (MRI) is often required by banks/lending institutions. In case of the borrower’s death, the loan becomes fully paid through the proceeds of the MRI. MRI only applies to properties financed by a mortgage loan. For those under a CTS, getting an equivalent amount of life insurance is highly recommended. You should contact your insurance agent to learn more about your options. Of course, MRI/life insurance that covers the loan might not be enough if you look at the big picture. You need more money to cover estate taxes, burial expenses, etc. By the way, your property should also be insured with coverage for fire, acts of nature, etc., including coverage for rental income if it’s a rental property. Again, contact your insurance agent to learn more about what’s available out there. Let me know what you think by leaving a comment below. Thanks. 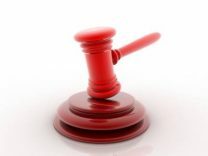 How Safe Is Your Property From Being Repossessed?